From a backyard summer camp for people with intellectual disabilities to a global movement, Special Olympics has been changing lives and attitudes in the late ‘60s. Founded by Eunice Kennedy Shriver who saw how unfairly people with intellectual disabilities were treated, she sought to change that on her own in her home in Washington, D.C. Her goal was to see if these young people experiencing some form of disability could participate in sports and physical activities. 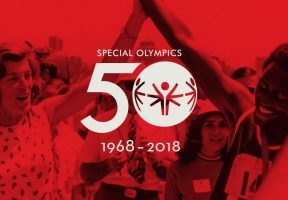 Through rigorous efforts and partnerships, on July 20th 1968 the first International Special Olympics Summer Games were held at Soldier Field in Chicago, a venture between the Kennedy Foundation and the Chicago Park District. Nearly 1,000 athletes with intellectual disabilities from the USA and Canada competed in the first Special Olympics Games in Chicago. 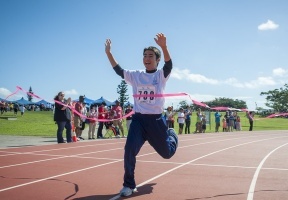 Today, nearly five million athletes have participated in the Special Olympics since its inception inspiring millions more. 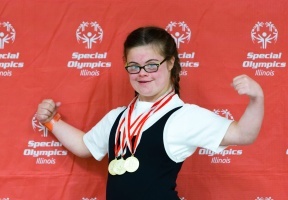 This weekend, scores of athletes will take over the city to celebrate the 50th anniversary culminating in a Special Olympics Concert at Northerly Island. If you would like to check out an event or two see the list below to help guide you through the weekend’s activities. Join Chance the Rapper, Usher, Francis & The Lights, Daya, Smokey Robinson, Jason Mraz, and O.A.R. on July 21 at the 50th Anniversary Celebration Concert! Dedicated to empowerment and inclusion, the concert will inspire an #InclusionRevolution.